This gorgeous book made all the hairs on my neck stand up. It sent little chills everywhere. But good ones. 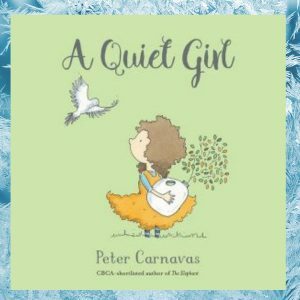 A Quiet Girl, by Peter Carnavas is so very beautiful. We need kids like Mary to force us to be quiet and still and notice the small things. 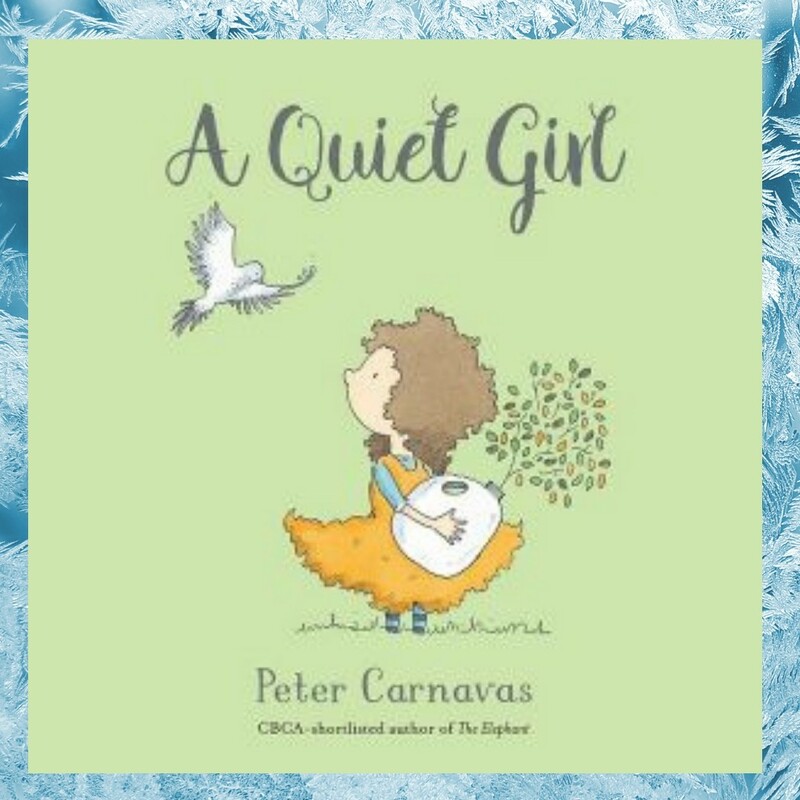 Mary is a quiet girl who notices the quiet, small things – a dragonfly buzzing through the air, trees creaking in the breeze, a dog sighing in its sleep. But Mary has trouble being heard over her LOUD family. They tell her to speak up! Mary tries to, but can’t. So she becomes more and more quiet until she almost disappears. Her family finally notice she’s not around anymore (though it takes a while!). They search and search for her, and eventually find her. In the end, Mary’s loud family learns to be quiet, like her, and discovers a whole new peaceful world around them.